It’s December, when the ground is thick with reminiscences of the best albums, singles, and concerts of the last 12 months. The following is not that. It’s not a list of the best music of 2018, nor is it a list of the best new music of the year. It’s simply a rundown of notable things I discovered in 2018 and a reminder that discoveries can come in any number of forms and from any number of places. Bruno Mars’s “Finesse” remix was released on Jan. 4, which means that there were exactly three days in 2018 that weren’t dominated by Cardi B. It’s true that her chart-topper “Bodak Yellow” announced her arrival months earlier, but it was this year that revealed the full widescreen, Technicolor array of what she brings to pop music. She rapped, thrillingly, like she was surprised by every syllable that came out of her mouth, and not for nothing, but her very open difficulty adjusting to new motherhood was amazing to watch. She’s Nicki Minaj, but relatable. Superchunk’s 2010 album “Majesty Shredding” was a bracing return following nine years of silence, and 2013’s “I Hate Music” was even better. But it was the arrival of post-hibernation release No. 3 that officially made a pattern and confirmed that Superchunk’s revival is legit. “What a Time to Be Alive” capped off a three-album stretch as strong as any in the indie stalwarts’ nearly three-decade-long career; it’s headlong, galvanizing, melodic, raging and focused as hell. It takes as its default stance toward the experience of existing in the current moment not a defensive crouch but a forward-leaning defiance calling for emergency action. 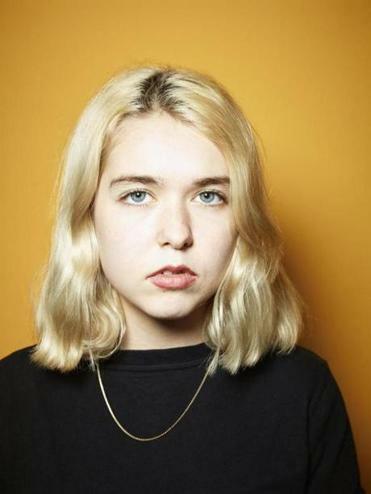 Young women figuring out the confusing world around them (and their place in it) has been a durable engine for great music since time immemorial, and there was plenty to like about Snail Mail’s “Lush.” It hearkens back to early solo Juliana Hatfield minus the self-loathing, and Lindsey Jordan’s affectless singing and unadorned instrumentation subtly unfolded over the album’s duration; each song seemed like a quiet rebuke to the sonic limitations of the one before. More self-assured was Alice Merton’s arresting “No Roots,” which pitted Merton’s low vocals against a restless beat that seemed (fittingly enough) to keep shifting underneath her feet. Her EP of the same name mixed KT Tunstall’s DIY scale with Florence + The Machine’s drama, as well as some slashing rhythmic invention all her own. Her full-length debut “Mint,” out next month, adds some Selena Gomez-style languidness to nifty effect, showing that Merton’s still not done moving. Amid the bro-country grinders and mawkish overcorrections to the same populating country radio, Cole Swindell’s “Break Up In The End” was practically a revelation. Heartbroken and quiet but singularly accepting, it’s a snapshot of a doomed relationship that the singer wouldn’t change one bit, because every mistake, every fight, every low point is too intertwined with everything that made things work, when things worked. And so, with clear eyes and not one ounce of regret, Swindell says goodbye to his girl because he must, and in so doing, he gets to keep the memory. When a friend finally encountered Captain Beefheart & His Magic Band’s “Trout Mask Replica” and expressed his angry befuddlement on Facebook, I found myself unexpectedly becoming the most impassioned advocate of the legendarily impenetrable album. To get a firmer grasp on my argument, I revisited it for the first time in maybe 20 years (and genuinely enjoyed for the first time ever), which sent me down an unexpected Beefheart rabbit hole that landed me, with newly opened ears, at 1980’s “Doc at the Radar Station.” Like “Replica,” it had flummoxed me two, maybe three times before I filed it over a decade ago, but now cracks had formed and my pleasure receptors were suddenly flooded. Streamlined and aggressive, it had all the chaos of “Replica” with none of the madness, pulling the rug out from underneath pop/rock conventions a handful at a time instead of by the dozens. They say that your musical tastes essentially become static by the time you’re 30. Then you go through a serious Beefheart jag at 44, driving down Storrow with your windows down and blasting “Dirty Blue Gene,” and you don’t know what to think anymore. Back to that Facebook friend: For various reasons, he grew up with a giant hole in his pop-music education. So he was unfamiliar with touchstones like “Rumours,” “Exile On Main St.,” “Mothership Connection,” “Tapestry” and others . . . until this year, when he set out to rectify those gaps. Nearly every weekday of 2018, he listened to a classic album, shared his reactions and then hosted discussions that promptly became appointment Facebooking for his pals. Later on, I stumbled across YouTuber Joey Da Prince, an avowed hip-hop fan filming his first exposures to songs like “Bohemian Rhapsody” and “Shine On You Crazy Diamond.” Watching him get blissfully lost in music outside his usual frame of reference was revelatory. It was another welcome reminder that when someone tells you that they’ve just listened to “Back In Black” for the first time, the proper response isn’t to snootily go, “How have you never heard this before?” It’s to say, “Yay, we get to talk about AC/DC!” That’s the most vital discovery of any year. Marc Hirsh can be reached at officialmarc@gmail.com. Follow him on Twitter @spacecitymarc.